Aside from the brain, the eye is the most complex and incredible organ in the animal world. For most of us, vision is the sense, through which we gain most of our information about our world, and the one that offers the broadest range of possibilities for stimulation. It is important that we, as care providers, know what is appropriate visual stimulation for Alzheimer’s, and what might be inappropriate. It is also important to understand how dementia can affect vision. As long as there is light, most everything is visible, and potentially stimulating. Simply, vision is what happens when light enters the eye and is turned into electrical impulses by the eye’s retina. These impulses travel along the optic nerve, through the thalamus, and eventually to the occipital cortex of the brain. The brain then “sees” the image that the eye sends. Visual stimulation is brain stimulation, and brain stimulation is what we are after. 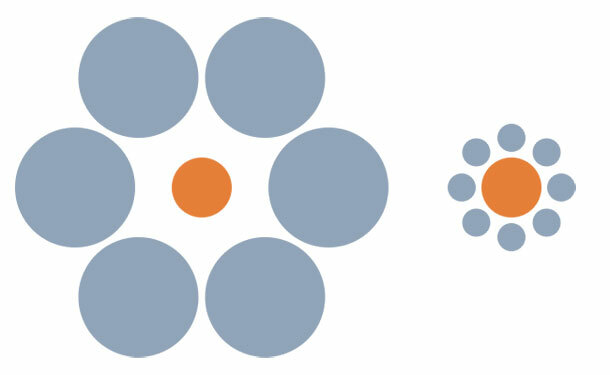 Which orange circle in the image to the left is larger? Most people see the circle on the right side of that image as larger, but they are actually the same size (measure them if you don’t believe me. This is a rather simple example of an optical illusion, called the Ebbinghaus Illusion. Your eyes see two circles of the same size, but your brain interprets them as being different. This is perception, and because dementia affects the brain, it will eventually affect perception. Sensory stimulation stimulates the brain as well, so visual stimulation for Alzheimer’s should be a part of a care plan. Visual stimulation for people who have Alzheimer’s can involve light, color, shape, or motion, or a combination of those elements. Gently animated lights, kaleidoscopes, colorful paintings, nature movies, fiber optic Christmas trees, a glorious sunset: all examples of visual stimulation. Some can have the added benefit of stimulating memory: a sunset might dredge up a memory of a similar sunset in the person’s past, and what was happening at the time. Appreciating visual art is an excellent way to stimulate our vision. The colors used in a painting, the shapes of a sculpture; these features make our brain work to understand and interpret the information the eye is sending. Few stimuli that enter the eye are “just” visually stimulating. In the case of art, once the shapes and colors, etc. are turned into a perception, the brain goes to work analyzing and critiquing what it has seen. It is the purpose of art to communicate ideas, not just images. Consequently, visual stimulation becomes an exercise in critical thinking, judgement, and comparison. Appropriate visual stimulation for Alzheimer’s invariably stimulates more than just the visual centers of the brain. In the case of art appreciation, the process becomes therapeutic. Click to read more about Art Therapy. A most basic form of visual stimulation for Alzheimer’s and dementia is bright light therapy. It may be the purest form of visual stimulation. On the other hand, it is not like other visual stimulation. Vision becomes perception when it is processed in the cerebral cortex, mostly in the visual cortex in the occipital lobe, which is located in the back of the head. The benefit of light therapy takes place in the suprachiasmatic nucleus, which is in the thalamus in the center of the brain. Signals don’t have to reach the visual cortex for the therapy to work. 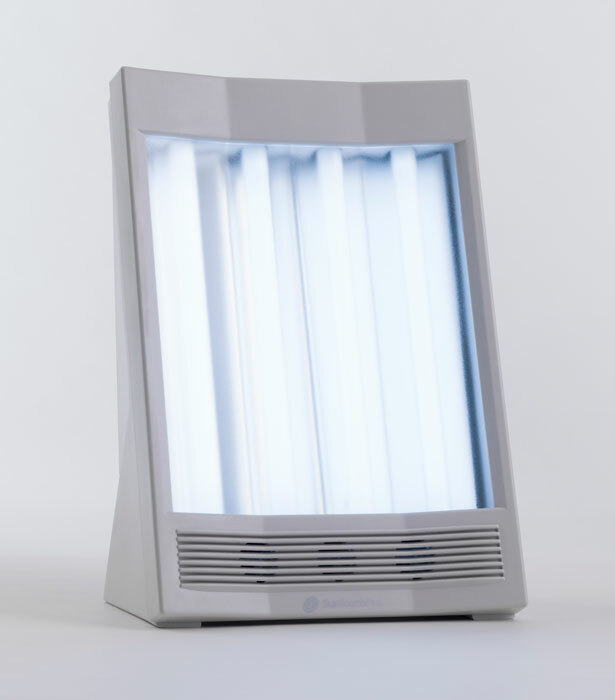 You can read more about light therapy here. Bright light can be an effective therapy to alleviate sleep disorders and for mood enhancement, especially in winter, when we spend lest time in the sun. Other sources of light, especially if they move or change color, provide a different type of visual stimulation. Avoid overly bright lights, except for lights that have been designed specifically for bright-light therapy, Also avoid lights that appear to move quickly or flash as these can cause confusion and over-stimulation. 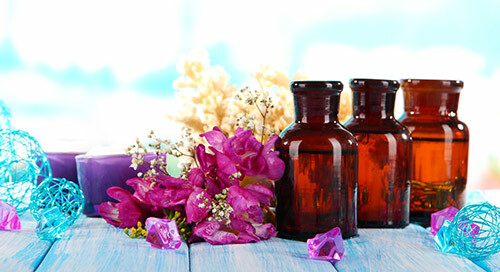 If you can find one, or still have one, the Lava Lamp® is a good source of soothing light stimulation. Don’t forget natural light. Bright objects that hang in the window, or even outside, and reflect the rays of the sun; stained glass trinkets that color the sunlight and allow it to shine through; mirrors that reflect incoming light and brighten the room; these all add stimulating possibilities to the environment. Our store is full of sensory activities and items that provide stimulation to more than a single sense organ. In fact, it is difficult in a real world situation to stimulate a single sense organ. 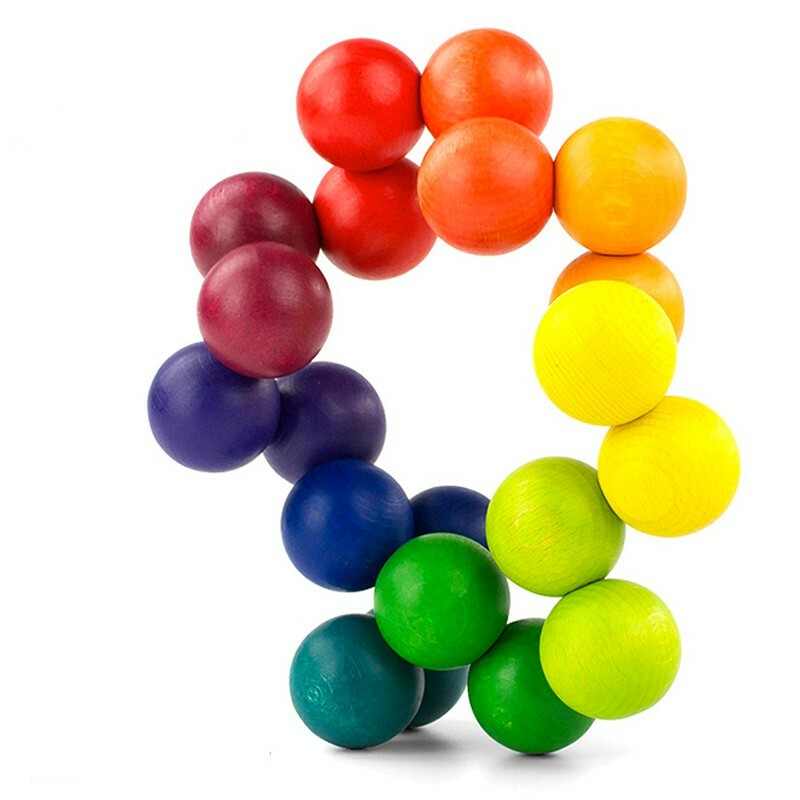 One or our favorites is the Playable Art Ball, a beautifully crafted, colorful activity for the hands and eyes. Another is our Box of Balls that can stimulate one’s sense of humor, as well as vision and touch receptors. I will almost guarantee that you have a diverse collection of appropriately stimulating objects around the house. If there are young children around, enlist their help to find such objects. Children are the experts at finding the pretty in the ordinary. If there are no children handy, think like a child, and be amazed at what you find. We all do our best to create a visually stimulating environment for ourselves. We call it decorating, but we often neglect to decorate for person who has Alzheimer’s/dementia. Use the ideas presented on this website to produce a stimulating, entertaining, and active living environment for him or her. This is the essence of quality-of-life! Safety is another consideration when decorating. Dementia can and will affect perception, sometimes severely. It may become difficult to differentiate between objects of similar color, a white chair against a light colored wall, for instance. Click here to learn more about creating a safe environment for dementia. Brain activity was measured directly to investigate the effects of audiovisual stimulation in people with Alzheimer’s disease. The team that conducted this study reported a significant increase in brain activity, but the increase was less in more advanced stages of the disease. The stimulation that these investigators used was a movie. Good news for the caregiver; we can all administer a movie! My 71 yr old Mom is regressing rapidly due to dementia, and has lived with us now for almost 2 years..(she thinks it’s only been a week. Thanks for the helpful hints..and keep them coming..please! While researching tactile blankets I discovered this site. What fantastic ideas! I am so thankful for all of the ideas and interest from you in enriching the lives of people suffering from this terrible disease. Great help for beginning Dementia. Please add me to your mailing list. Thank you for your kind words. It is always gratifying to hear that our work is being well received. You have been added to our list. Could you please add me to your mailing list as well! Thank you! I have added your email address to our mailing list. I listed you as jjahn as I didn’t have a proper name. That can be changed. Fantastic ideas thank you! Please add me to your mailing list. You have been added, Allie. Thanks for your kind words.